What does fiction have to do with Bible study? Quite a bit, actually. See, we learn by story. No wonder YouTube and Pixar are so popular! Story is “concrete,” instead of an abstract idea, a story is something we can identify with and question. Christians should read fiction because it helps us put God’s Word into real-life encounters. This is true for even not-so-real-life encounters, like fantasy or science fiction, because the truths about life, work, and relationships are still there even when the situations are out of this world. By the way, if you want a way to process what you’re reading, I’ve created a free download for you: 15+ journaling questions for Christian readers of fiction. Start a book journal and take a little time to write your way through some of these questions when you finish a book! But the best Christian fiction book I read recently was very much in this world. No fantasy about it. 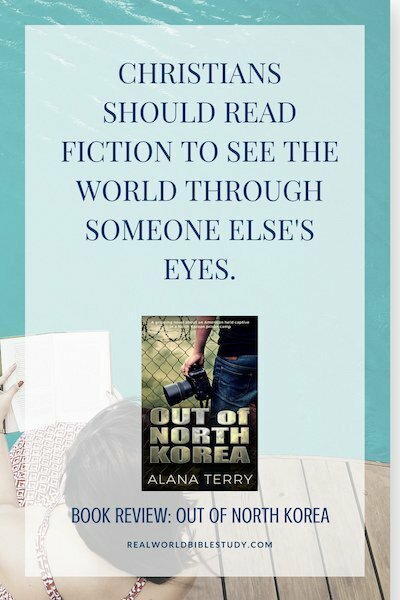 Alana Terry’s Out of North Korea touches on a very scary reality in our world, but one we don’t often see up close and personal. Confession: at 10:30pm PST, I may have laughed loud enough to wake up my nearly deaf neighbor who has the apartment next to me. Like, uncontrollable cackling. I would calm down for a minute and then I would think the thought again and it would start all over. It was chapter 2. Maybe one reason Christians should read fiction is that laughter is really, really good for the soul. I hope this infraction on my part doesn’t take away from the serious subject matter. 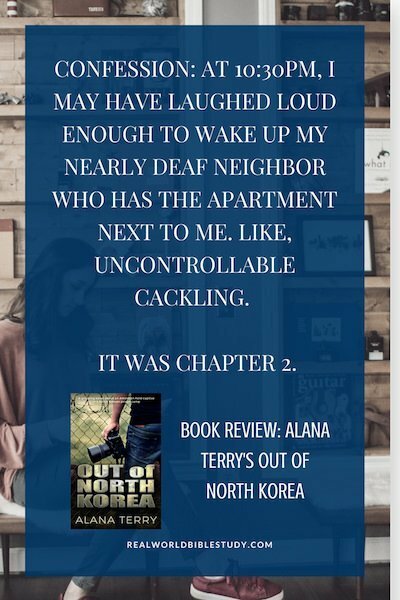 But the night I started reading Out of North Korea, I met a character who tackles an incredibly daunting situation with a sense of humor that I only hope I would be able to imitate in times of crisis. Perhaps Christians should read fiction because it challenges us to think about our own responses. Christians should read fiction to see the world through someone else’s eyes. I’m usually not a fan of stories told in the first person, because it is so hard to do well. Rarely have I found an author that can do more than one “voice” successfully. In fact, while I will stick through most books till the end, the ones that I can’t seem to get into are typically told in the first person. Ms. Terry pulls it off. 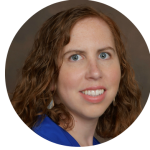 I was impressed with how she saw and spoke through the eyes of someone of such dramatically difference life experience – and beliefs. 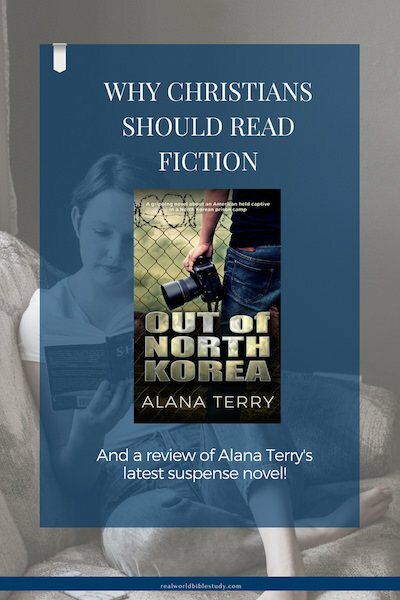 Who should read Out of North Korea? If you have a hard time identifying with those who don’t agree with your beliefs, you probably won’t like the beginning of this book. I encourage you to read it anyways. If you aren’t a Christian, you’ll still really enjoy this one. It isn’t preachy, just a lot of real life in a crazy situation. If you just haven’t tried Christian fiction, you should definitely read this book. Buyer beware, it may spoil you for fluff. By the way, if you like Alana Terry, I am really enjoying her Kennedy Stern series! You can read my review of Paralyzed here. Where do I find your reading list? I don’t have an official list posted per se. You can find books I have reviewed at https://www.realworldbiblestudy.com/category/book-reviews/. You can find more of what I’ve been reading on my Goodreads page at https://www.goodreads.com/realworldbiblestudy. 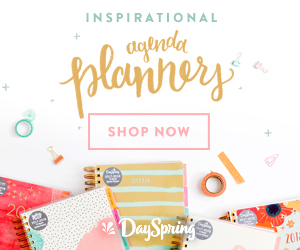 If there’s something in particular you are looking for, feel free to reach out to me via email at joy (at) realworldbiblestudy.com!